Home Tags Posts tagged with "oil prices"
More than 4 billion metric tonnes of oil is produced annually. But as big as the oil and gas industry is, there are still significant factors affecting its success in 2019. Here are 5 of the biggest trends set to shape the future of the oil and gas industry this year. The oil industry relies on the supply of oil from the world’s oil-rich exporters. Fluctuations in this supply can affect oil prices. And oil prices affect the standing of companies in the oil and gas industries. For example, fluctuations in supply from the Permian Basin have reshaped the oil industry worldwide. US sanctions on some of the world’s top oil exporters such as Iran and Venezuela have also hit the industry hard. These hits have proven that a retraction in the oil supply can inflate oil prices. Energy outlook publications hold a lot of sway in the oil and gas industry. Publications like the International Energy Agency’s annual World Energy Outlook report don’t only offer projections. They themselves can have an effect on the industry as a whole. When staying on top of industry trends, one must stay up to date with energy outlook publications. Energy policies are strategies outlined by a government, intergovernmental agency, or firm to help balance resources and boost the energy landscape. These policies have shaped the oil industry for decades and will continue to do so. Some great examples of such policies are those put forward by the US Department of Energy. Their policies refer to the production of all energy sources that affect the US. Fracking is a way of exploring gas and petroleum trapped beneath deep-rock formations. When fracking, fluid injects into rock formations under high pressure to crack the rock. This then releases hydrocarbons. Fracking is common-practice but has come up against hurdles recently. The UK and Australia, in particular, are experiencing social and legal pushback when proposing new fracking projects. Energy transition refers to the long-term structural shift of a nation’s energy mix. A great example of energy transition in effect is the switch from oil and coal to natural gas. Today, we’re seeing another energy transition underway with the rise of renewable energy. Many governments are now laying out energy policies aimed at fostering this energy transition. The shift to renewables is one of the biggest trends to affect the oil and gas industries. It’s led many major companies to expand their portfolio or even shift wholesale into the renewable market. The oil and gas industry is one of the biggest in the world but that doesn’t mean there aren’t factors affecting major change. Oil supply, energy outlook publications, changing energy policies, the popularity of fracking, and energy transition are only a few of the trends bucking the status quo this year. Interested in renewable energy? We asked the question: is solar power really the best way to generate clean energy? President Donald Trump has urged Saudi Arabia to increase its oil production to combat the rising cost of fuel. He tweeted that he had asked King Salman of Saudi Arabia to raise oil output by up to two million barrels a day. President Trump said the move was needed due to “turmoil and dysfunction in Iran and Venezuela”. Oil prices rose last week, partly due to US plans to re-impose sanctions on Iran, a major oil producer. The OPEC group agreed to increase output, as did Russia, but this failed to reassure markets. The Saudi Press Agency confirmed that President Trump and King Salman had spoken by phone, giving few details. According to the news agency, they had discussed the need to “preserve the stability of the oil market”. However, the statement did not confirm that Saudi Arabia had agreed to the two million barrels a day figure. Saudi Arabia is the world’s biggest exporter of oil and produced about 10 million barrels a day in May. The country is reported to have between 1.5 million and two million barrels a day of spare capacity – but experts told The Wall Street Journal it might not be keen to meet the president’s request. Donald Trump has repeatedly criticized OPEC even though US ally Saudi Arabia is a core member. Iran, another OPEC member, has accused Donald Trump of trying to politicize the group and has blamed Riyadh for doing his bidding. On June 30, Iranian Supreme Leader Ayatollah Ali Khamenei said the US was trying to drive a wedge between Iranians and their government using “economic pressure”. The value of Iranian currency, the rial, has tumbled since the US backed out of the Iran nuclear deal in May. Earlier this week, thousands of traders at Tehran’s Grand Bazaar marched in protest against rising prices and the plummeting value of the rial. It was the biggest protest Tehran has seen since 2012. Oil prices have dropped further, adding to near 5% losses seen on May 4, as concerns about a worldwide supply glut resurfaced. Brent crude fell 1.8% at $47.49 a barrel, while US crude dropped 2.1% to $44.58 a barrel. Oil is at its lowest level since November 2016, when OPEC struck a deal to cut output. Investors are worried that OPEC nations will fail to rein in output further at their next meeting later this month. Oil prices down by about 15% since the start of the year, despite Opec’s agreement in November which cut output by 1.8 million barrels a day. Supply is still outpacing demand, with US oil production alone up by 10% since summer 2016. It now pumps out some 9.3 million barrels a day – not far short of the two giant oil producing nations of Russia and Saudi Arabia. OPEC and other oil nations are meeting on May 25 where they will discuss the success of the six-month cutback and whether it should be deepened. Russia, one of the non-OPEC countries to sign up to the cuts, gave mixed signals on May 4 about whether it would continue. 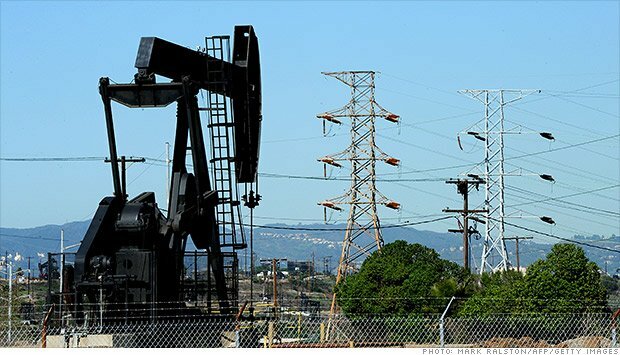 Data released on May 2 indicated US crude stocks fell 930,000 barrels last week. Analysts had been expecting a drop of 2.3 million barrels. The fall in crude prices hit global energy and commodity stocks. On May 4, US oil giants Chevron and Exxon Mobil were two of the biggest fallers on Wall Street, dropping 2% and 1.3% respectively. BP’s profits double in Q4 of 2016 on the back of slightly higher oil prices and more cost-cutting. Underlying replacement cost profit – BP’s preferred measure – was $400 million, up from $196 million a year earlier. The oil giant took another charge of $799 million for the Deepwater Horizon disaster, bringing total charges to $62.6 billion. BP CEO Bob Dudley said: “2016 was the year we made significant strides for future growth. For the 2016 as a whole, underlying replacement cost profit – which strips out fluctuations in the value of oil stocks – fell to $2.58 billion, down from $5.90 billion in 2015. However, the profit figures were below some analysts’ forecasts, and BP shares fell 2% at the start of trading in London. In 2015, the company posted its biggest loss in at least 20 years, ravaged by Gulf of Mexico spill costs and tumbling oil prices, which caused the group to axe jobs and cut investments. However, Bob Dudley said that the costs and liabilities from the fatal Deepwater Horizon oil platform disaster were “now substantially behind us. 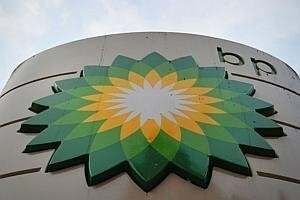 BP is fully focused on the future”. BP said it would balance its books at an oil price of around $60 per barrel by the end of the year. Oil companies have been selling assets and cutting costs to adjust to lower prices. Brent crude, the international benchmark, averaged $44 a barrel in 2016, the lowest in 12 years. Oil price has surged after reports that OPEC members have agreed some details of a production cut. Oil prices rose nearly 7% as energy ministers attended November 30 OPEC meeting in Vienna. Ahead of the meeting Saudi energy minister Khalid Al-Falih had said “there are good chances” a formal deal could be struck. Two months ago, oil ministers had said full details of the agreement would be finalized at the meeting. OPEC pledged to limit production by about 700,000 barrels a day, but said Iran would be allowed to increase production. Oil prices rose then, but the absence of detail prompted some traders to have second thoughts about whether the cartel would actually take firm action. 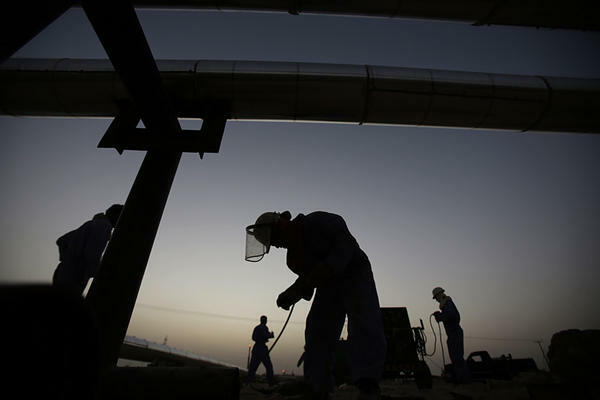 Saudi Arabia has agreed to cut output by about 500,000 barrels per day at the meeting, Reuters reported. That would take its output to 10.06 million barrels per day. 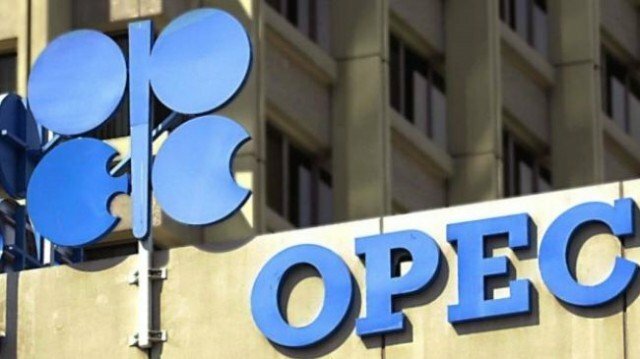 Reuters also reported that OPEC has agreed to suspend Indonesia’s membership to allow Iran to set new production levels at 3.797 million barrels per day. Ahead of November 30meeting, Khalid Al-Falih said “there are good chances” that a detailed deal can be brokered, and that “the spirit is good”. The Saudi energy minister said his country would have to “take a big cut and a big hit” to current production – and its 2017 forecast – if OPEC production were limited to 32.5 million barrels per day. “So we will not do it unless we make sure that there is consensus,” Khalid Al-Falih added. A production freeze for Iran at pre-sanctions levels would be “very considerate of other OPEC members when they’re having to cut,” he said. “Iran has recovered to its pre-sanctions levels,” Khalid Al-Falih said. Saudi Arabia has also been discussing a production cut with Russia, he added. Brent crude rose 6.9% to $50.58 per barrel, while US crude also rose 6.7% to $48.25. Traders said markets were jittery and prices could swing sharply in either direction depending on developments in Vienna. A decision to cut has been hindered by a rivalry between Saudi Arabia, OPEC’s top producer, and Iran. The Saudis have been hesitant to shoulder the lion’s share of a cut, while Iran has resisted reducing its own production, arguing it has yet to recover its output levels after years of sanctions. Brent crude oil rose almost 6% to nearly $49 a barrel after Opec has agreed a preliminary deal to cut production for the first time in eight years. The major oil exporting nations struck the deal at talks in Algeria on September 28 to ease fears of oversupply. “Opec made an exceptional decision today,” Iran’s Oil Minister Bijan Zanganeh said. While oil saw only small gains in early Asian trade, energy firms across the region soared. Oil ministers said full details of the agreement would be finalized at a formal Opec meeting in November. Output will fall by about 700,000 barrels a day, although the cuts will not be distributed evenly across the cartel, with Iran being allowed to increase production. Disagreements between Iran and its regional rival Saudi Arabia had thwarted earlier attempts to reach a deal. Many of Opec’s smaller members pushed for the cut after seeing oil prices plunge from $110 a barrel over the past two years due to oversupply and slowing demand. 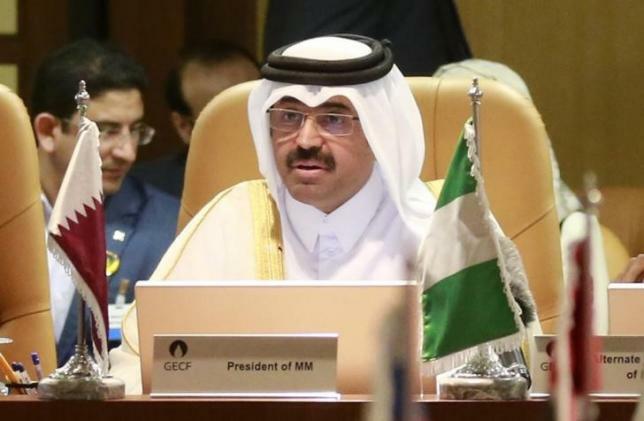 The outline deal will limit output from Opec countries to between 32.5 million and 33 million barrels a day, said Mohammed Bin Saleh Al-Sada, Qatar’s energy minister and current president of Opec. Current output is estimated at 33.2 million barrels per day, although Iraq questioned on Wednesday how Opec measures the oil production of its members. Some oil traders remain skeptical about the deal, saying they want to see the full terms, including the cuts agreed by individual member states, before passing judgement. Low crude oil prices and weak refining margins have hit ExxonMobil and rival Chevron’s profits in Q1 of 2016. ExxonMobil reported a profit of $1.8 billion, a sharp decline from $4.94 billion for the same period in 2015 and its lowest quarterly profit since 1999. Revenue dropped 28% to $48.7 billion, but it had strong results from its petrochemicals division. Chevron has reported a quarterly net loss of $725 million. That compared with a net profit of $2.57 billion for the same period in 2015 and was worse than analysts had expected. ExxonMobil shares rose 1.4% in New York on April 29, while Chevron fell 0.6%. Meanwhile, oil prices hit their highest levels of the year on April 29, driven up by lower US production and a weak dollar. Brent crude was up 12 cents at $48.26 a barrel in afternoon trading, while US oil rose 57 cents to $46.60. US oil production has continued to fall in recent months, easing concerns about oversupply, while the dollar has lost almost 2% of its value against other global currencies in the past week. A weaker US dollar typically contributes to a rise in oil prices, because oil is priced in dollars. When the dollar weakens against other currencies, oil becomes cheaper to buy, pushing up demand. 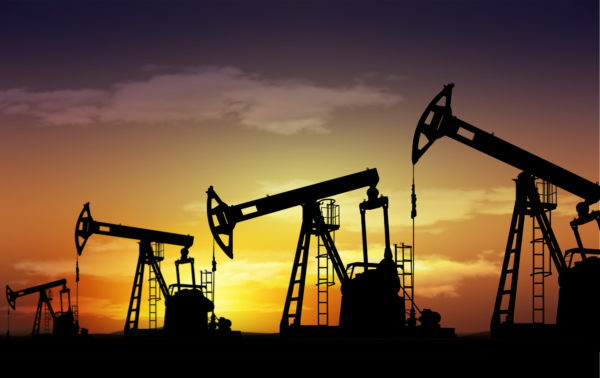 However, the latest rise in oil prices may be limited by a future increase in Middle East production, according to a note released by Deutsche Bank. Iraq and the UAE are likely to raise production after maintenance issues are resolved, Deutsche indicated, and Saudi Arabia may also increase production significantly. However, this may be tempered by events in Latin America, where Venezuela is struggling to maintain its crude output, according to a report from Eurasia Group. Eurasia Group reported that low oil prices over the past two years have meant Venezuela’s government is running out of cash to keep its state-owned oil pumps operational. 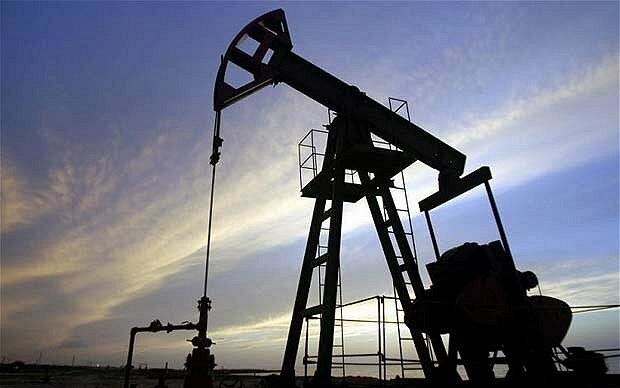 Oil prices have dropped sharply after a meeting of oil producers in Qatar failed to agree a cap on output. Brent crude fell 7% at one point, but then recovered slightly to stand down $1.87, or 4.3%, at $41.23 a barrel. The meeting was attended by most members of oil producers’ group OPEC, including Saudi Arabia, but not Iran. Saudi Arabia, the world’s biggest exporter, had been prepared to freeze output if all OPEC members had agreed. However, Iran is continuing to increase output following the lifting of sanctions against it. “As we’re not going to sign anything, and as we’re not part of the decision to freeze output, we ultimately decided it was not necessary to send a representative,” the Iranian government said. After hours of talks in Qatar, energy minister Mohammed bin Saleh al-Sada said that the oil producers needed “more time”. As well as the fall in Brent, the price of US crude oil fell nearly 7% before recovering some ground to stand $1.88 lower at $38.48 a barrel. The meeting in Qatar was not formally an OPEC event, though most of the group’s members were represented. OPEC has been slow to respond to the sharp fall in oil prices, which are still less than half the peak of $115 a barrel seen in June 2014. Oil prices had risen in recent weeks, largely due to speculation that some major exporters would limit supply. Oil prices have plunged after Saudi Arabia said it would freeze production only if other major producers did the same. Saudi Deputy Crown Prince Mohammed bin Salman’s remarks are seen as a challenge to Iran. It has vowed to increase oil production following the lifting of Western sanctions. In the Bloomberg interview, Prince Mohammed bin Salman also spoke about his plan for a giant public investment fund. Worth more than $2 trillion, it would be designed to reduce Saudi Arabia’s reliance on income from oil. Part of the plan would be a sale of shares in the state-owned oil company Aramco, which could start as soon as next year, according to the interview. Iran will not take part in a conference in Doha on April 17, where the freezing of oil output is due to be discussed. 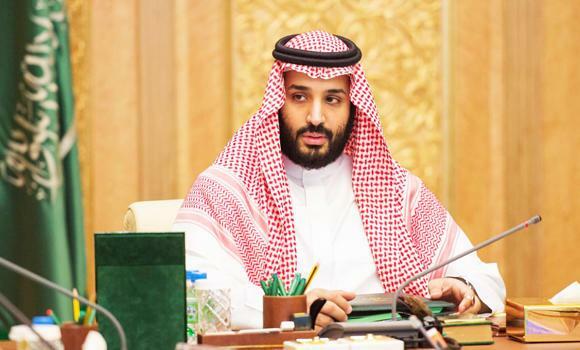 “If all countries agree to freeze production, we will be among them,” Prince Mohammed bin Salman told Bloomberg. When asked whether Iran needed to be among those countries he said “without doubt”. Oil prices, which had edged into positive territory, fell after Prince Mohammed’s comments. Brent crude fell $1.63 cents, or 4%, to $38.70 a barrel. Prices rose 6% in the first three months of this year – the first quarterly increase since a 15% rally between April and June 2015. A monthly survey by Reuters this week showed that oil output from the 13 OPEC members rose in March on higher production from Iran and near-record exports from southern Iraq. Iraq reported OPEC’s biggest supply growth last year, producing more than 4 million barrels per day – making it the cartel’s second-largest producer after Saudi Arabia. In February, Saudi Arabia and Russia said they would freeze oil output at January levels if other producers followed suit. Oil prices have fallen from their recent peak of $116 in June 2014 because of oversupply and sluggish demand. Asian stock markets have continued recovery, picking up on a rebound in oil prices and a strong lead from the US and Europe. The recovery comes after a sharp sell-off earlier in the week. Meanwhile, hints from European Central Bank (ECB) on January 21 that it might consider more monetary easing helped lift investors’ confidence. In Japan, the Nikkei 225 index jumped 5.9% to close at 16,958.53, after hitting at 15-month low the previous day. Chinese markets also managed to recover some of the past days’ heavy losses. The mainland benchmark Shanghai Composite gained 0.8% to 2,901.32 points, while Hong Kong’s Hang Seng rose 2.2% to 18,950.19 points. Markets were encouraged by a recovery in oil prices, which had hit 12-year lows earlier in the week. Brent crude was up 98 cents at $30.23 a barrel, while US crude was 85 cents higher at $30.38 a barrel. In Australia, the S&P ASX 200 closed by 1.1% higher, at 4,916.00 points. Among the market’s standout performers were several of the big oil and commodity companies, buoyed by a rise in the oil price. BHP Billiton and Rio Tinto were 7.5% and 3.4% up respectively, while Santos climbed 11%. Stocks of winemaker Treasury Wine Estates also stood out, jumping as much as 17.5% to a record high after the company provided strong full-year profits guidance in a market update. In South Korea, the benchmark Kospi index followed the region’s trend, closing the day 2.1% higher at 1,879.40 points. 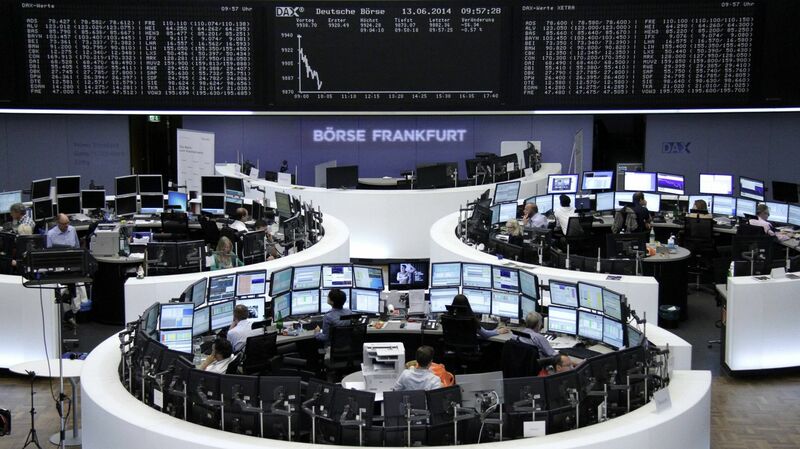 On January 21, shares in Europe and the US closed higher, helped by comments from ECB president Mario Draghi. After the ECB had kept eurozone rates on hold, Mario Draghi hinted that the bank might take more action to try to stimulate the eurozone economy later this year. He said the bank would “review and possibly reconsider” monetary policy at its next meeting in March. Mario Draghi also said eurozone rates would “stay at present or lower levels for an extended period” and there would be “no limits” to action to reflate the eurozone. Europe’s stock markets have opened slightly higher 24 hours after global turmoil saw billions wiped off the value of shares. London’s benchmark FTSE 100 share index, which measures the share prices of the 100 most valuable companies traded on the London stock exchange, was up 0.5% in the opening minutes. 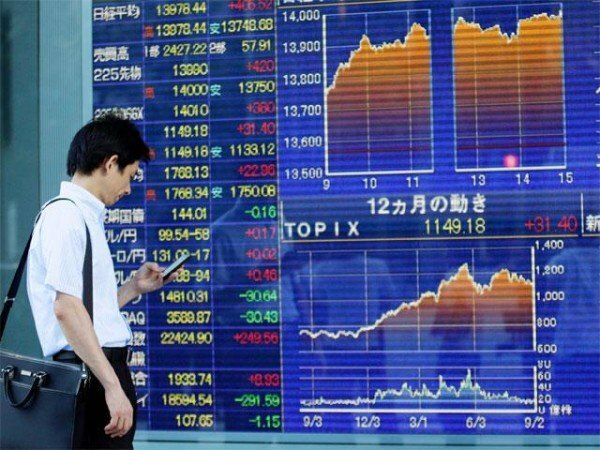 Earlier, Japan’s main share index closed down by more than 2%. Investors remain worried over the continuing slide in oil prices and slowing growth in China. On January 20, global stock markets suffered hefty losses and London’s FTSE 100 lost 3.5%. It has now entered a “bear market”, having fallen 20% from its record high in April 2015. In the first few minutes of trade on January 21, the FTSE 100 was up 31.78 points at 5,705.36. Oil prices remained weak on January 21, having hit their lowest levels since 2003 in the previous session. A brief rally in crude prices quickly ran out of steam, and after climbing back above the $28-a-barrel mark, Brent crude fell back to $27.79. US crude was trading at $28.23 a barrel, having fallen below $27 on January 20. Crude oil prices have been falling since mid 2014, but oil-producing countries have maintained output despite the decline, contributing to the excess supplies on the market. Earlier in the week, the International Energy Agency warned that oil markets could “drown in oversupply” in 2016. In Asia, Japan’s Nikkei 225 share index closed down 2.4%, while China’s Shanghai Composite ended the day down 3.2%. On January 20, US shares had also been hit, with the Dow Jones closing 1.6% lower after a volatile trading day. Oil prices fell below $30 a barrel on international markets for the first time since April 2004, before recovering again. Brent crude, used as an international benchmark, fell as low as $29.96, but bounced back to trade at $30.22. Oil prices have fallen by 70% in the past 15 months. Earlier, Russian PM Dmitry Medvedev warned tumbling oil prices could force his country to revise its 2016 budget. Dmitry Medvedev said that the country must be prepared for a “worst-case” economic scenario if the price continued to fall. Taxes from oil and gas generates about half the Russian government’s revenue. The 2016 federal budget that was approved in October was based on an oil price of $50 a barrel in 2016 – a figure President Vladimir Putin has since described as “unrealistic”. Government departments have been ordered to cut spending by 10%, repeating a policy imposed in 2015, Reuters reported. Pensions and pay for government workers will be protected from the cuts, which could save as much as 700 billion rubles ($9.1 billion). Finance minister Anton Siluanov said that the Russian budget could only be balanced at an oil price of $82 a barrel. He said the 2016 budget should be revised to assume an oil price of $40 a barrel. “Our task is to adapt our budget to the new realities,” Anton Siluanov said. Economy Minister Alexei Ulyukayev warned that Russia faced a long period of low commodity prices with oil at $15 or $20 a barrel. “The biggest risk is that there will be low prices for a long time – that is, for years, for decades,” he said. Dmitry Medvedev also said that high interest rates were holding back economic growth in Russia. The Bank of Russia held rates at 11% last month, with Governor Elvira Nabiullina warning of “high volatility” in global markets. In 2015, the central bank shocked markets by increasing rates from 10.5% to 17%. Inflation stands at 15% in Russia, but the bank hopes it would fall to 4% by 2017. Oil prices will recover to $70 a barrel by 2020, oil producers’ group OPEC has said. Prices have fallen from more than $110 a barrel in the summer of 2014 to less than $37 a barrel now due to oversupply and slowing demand. However, OPEC said oil prices would begin to rise next year and, longer term, would rise due to higher exploration costs. It expects the market share of OPEC producers to shrink by 2020 as rivals prove more resilient than expected. OPEC currently accounts for about 30% of the world’s oil production, down from 50% in the 1970s. Part of the reason for this decline is the emergence of vast quantities of shale oil produced in the US. This has also been factor in pushing down the price of oil to 11-year lows. In its World Oil Outlook report, OPEC said it expected supply growth from US shale to slow dramatically in 2016, as producers struggled to cope with such a low prices. OPEC’s strategy this year has been to allow prices to fall by maintaining production in the hope that, eventually, US shale producers will be forced out of business. Another factor in low prices, OPEC said, was weaker economic growth, particularly in developing economies. It highlighted China, where the “economy seems to be maturing and growth is decelerating faster than previously expected”. The group’s report also highlighted the “huge reductions” in spending on exploration and production by the industry as a whole due to low oil prices. These cutbacks will ultimately see supply fall, it said, putting upward pressure on prices. According to OPEC, another longer-term factor pushing prices up was higher exploration costs, as companies are forced to look harder for oil as traditional supply sources dwindle. Deep water drilling, for example, is considerably more expensive than drilling onshore. Finally, OPEC said population and economic growth would see demand for energy rise by almost a half by 2040, increasing demand for oil. OPEC was founded in 1960 by Iran, Iraq, Kuwait, Saudi Arabia and Venezuela. These countries have since been joined by Qatar (1961), Indonesia (1962), Libya (1962), the United Arab Emirates (1967), Algeria (1969), Nigeria (1971), Ecuador (1973), Gabon (1975) and Angola (2007). 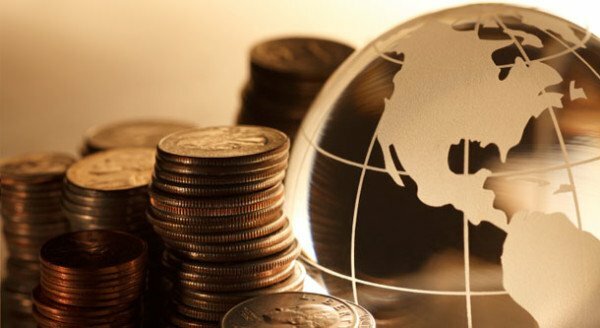 Oil prices and stock markets around the world have seen further falls, sparked by the renewed fears over the health of the global economy. China shares fell 1.5% after the authorities intervened again on the stock market to little effect. Expectations of a US interest rate rise dimmed after the Federal Reserve said the economy was not ready yet. On Wall Street, the Dow Jones index opened 1% lower, while markets in Paris and Frankfurt fell more than 2%. 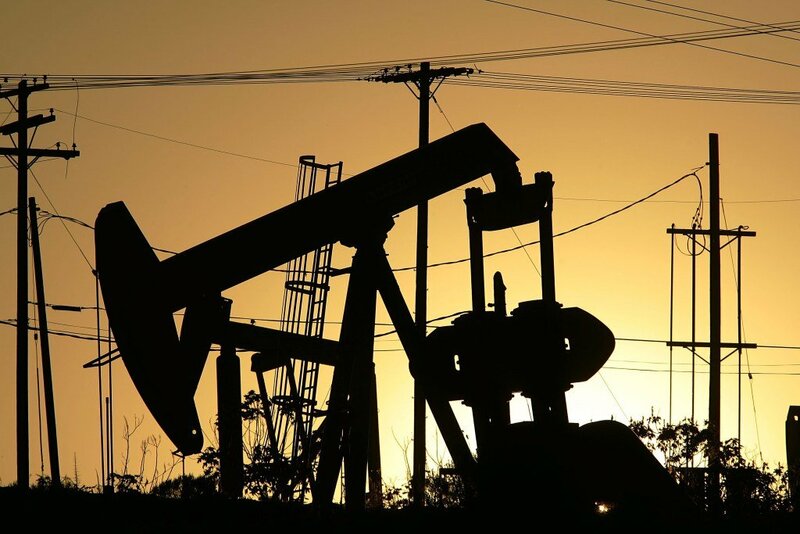 London’s benchmark FTSE 100 index shed 0.56%, while the price of Brent crude oil was down 0.4% at $46.97 a barrel, although US crude recovered from earlier falls to stand 0.6% higher at $41.35. On August 19, the Fed released minutes from its meeting on July 28-29, showing that one policymaker was ready to vote for an interest rate rise at the meeting. Overall, the Fed thought conditions for a US rate rise “were approaching”, but the economy was not ready yet. Other policymakers remained concerned that inflation would remain weak because of the strong dollar and falling commodity prices, which act as a double depressant on imports. The Fed’s key interest rate has been kept near zero since December 2008. There has been speculation that the Fed will raise rates at its meeting in September, and last month Fed chair Janet Yellen said she thought a rate rise this year was likely. Following the release of the Fed’s minutes, US stocks rallied briefly but then fell back, while the dollar weakened on the currency markets. The Dow Jones index ended August 19 trading down 0.9%. The committee also cited China as a potential problem, saying that a “material slowdown” in the Chinese economy could affect the US economic outlook. The FOMC’s meeting came before last week’s action by China to weaken its currency. After days of volatility, Chinese stock market traded lower once again on August 20, despite Beijing’s efforts to calm markets. China’s Shanghai Composite closed 1.5% down at 3,735.92 points. The fall comes after the index saw strong volatility earlier in the week. Traders appeared not to respond to efforts by the central bank to provide more liquidity to stabilize markets. In assessing the strength of the US economy, the Fed has been keeping an eye on the US jobs market – where the unemployment rate has been falling and is now 5.3%. However, inflation is still below the Fed’s target of 2%. The minutes from the Federal Open Market Committee’s (FOMC) July meeting noted that the labor market “had continued to improve, with solid job gains and declining unemployment”. However, when assessing inflation, it said that “some members continued to see downside risks to inflation from the possibility of further dollar appreciation and declines in commodity prices”. The FOMC said it would continue to monitor inflation “closely, with almost all members indicating that they would need to see more evidence that economic growth was sufficiently strong and labor market conditions had firmed enough for them to feel reasonably confident that inflation would return to the committee’s longer-run objective over the medium term”. Inflation figures released earlier on August 20 showed that consumer prices rose by 0.1% in July, and were 0.2% higher from a year ago. So-called core inflation, which ignores changes in food and energy prices, also rose 0.1% last month, but was up 1.8% over the year. Oil prices have reached a four-and-a-half month high on April 27 amid concerns over disruption to supplies from the Middle East. Brent crude oil is at $65.37 per barrel and has gained around $9 since last month. A slowdown in US shale oil production and the conflict in Yemen have been cited as the main reasons for the rise in the oil price in recent weeks. It comes as BP, Shell and Exxon Mobil are expected to report sharp falls in Q1 2015 earnings this week. While Yemen itself is not among the biggest oil producers in the Middle East, Gulf producers ship oil along the Gulf of Aden on Yemen’s southern coast and through the narrow straits of Bab el-Mandeb, between Yemen and Djibouti. As a result fighting in the region could create log jams in delivery. 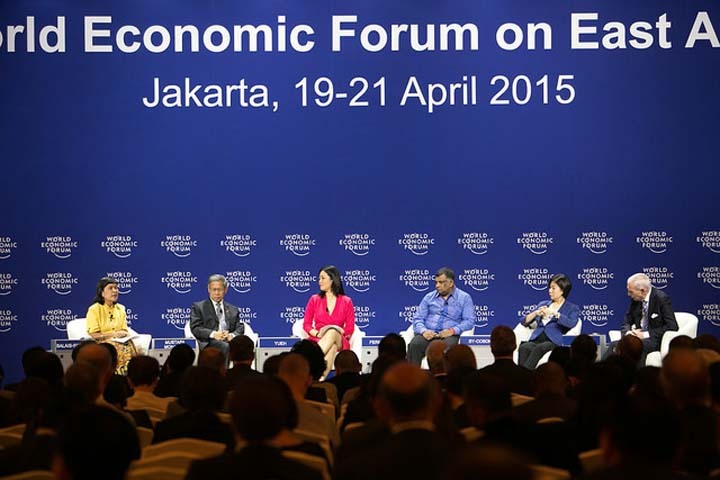 Oil prices will rise further, say industry leaders at the World Economic Forum on East Asia in Indonesia. Industry leaders at the meeting in Jakarta said the long-term view was that demand for oil is growing. Oil prices are around their highest levels for 2015. The price of Brent crude was at $63 a barrel on April 21, up 40% from its January low of $45 a barrel and near its high for the year of $65. Oil prices more than halved in the second half of last year, as falling demand and high levels of output caused a glut in supply. Melody Boone Meyer, president of Asia-Pacific exploration and production at US energy giant Chevron, said that dramatic falls were not an uncommon feature of the oil market. “The price of oil in the last 30 years has fallen five times by 50%,” Melody Boone Meyer said at the forum. It was important to continue with projects that were in development, Melody Boone Meyer added, emphasising that Chevron had a lot of projects that are well supported at these price levels. Handry Satriago, the CEO of GE Indonesia, said that a lot of its customers in the country were delaying projects because of the slump in prices. “Since last year we experienced some delay, but last year was because of the political situation of the country,” he said. The company has been trying to work with partners to “keep projects warm” and not to cancel them. “We show our commitment to them [oil partners], that we are here and we continue to support and work together,” Handry Satriago said. With Asia expected to become a net importer of oil in the next decade as consumption booms, government officials said it was necessary to secure energy supplies, even with falling prices. Indonesia, the world’s fourth most populous country, lost its position as South East Asia’s sole nation in the Organization of Petroleum Exporting Countries (OPEC) in 2008 after it became a net oil importer. Oil prices rose by almost 6% after Saudi Arabia and its allies launched air strikes on Houthi rebel targets in Yemen. Saudi Arabia is the world’s biggest crude exporter. The move has raised concerns that the conflict could spread in the oil-rich Middle East and possibly disrupt supplies from the region. West Texas Intermediate crude futures, the US benchmark, rallied to about $51 a barrel before falling back. Brent crude climbed to $59.71 a barrel, but has since dipped to $56.50. Pressure on the oil price eased slightly as it became clear there was no immediate threat to Middle East oil shipments. However, fears remain that Iran could be drawn into the conflict. Yemen is located along an important international shipping route for global energy producers. But the country is sliding towards civil war. 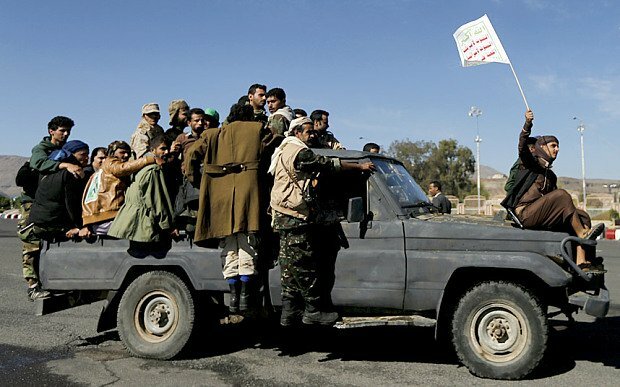 Houthi rebels receiving support from Iran have marched on the southern Yemeni port city of Aden, where Yemen’s President Abdrabbuh Mansour Hadi took refuge after he was forced him to flee the capital, Sanaa. Saudi Arabia, supported by regional allies the United Arab Emirates, Bahrain, Qatar and Kuwait, launched airstrikes on Thursday aimed at halting the rebel advance. Iran and Saudi Arabia are both members of the Organization of Petroleum Exporting Countries (OPEC), the group that produces about 40% of the world’s oil. Oil exports to Europe pass through the narrow Red Sea strait between the port of Aden and Djibouti. However, the current glut in global oil stocks, built up in part thanks to US shale production and plentiful output from Russia and other producers, means there is unlikely to be an acute crisis in supply. Oil prices rallied on February 2 as investors speculated that the falling cost of crude may have ended. Brent crude was up 1.3% at $53.65 a barrel, having reached $55, while US oil rose 1.7% to $48.52. 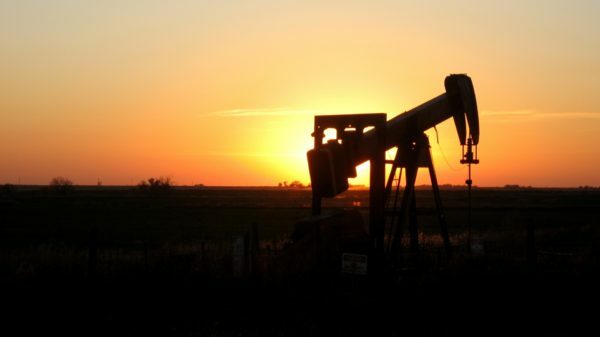 It followed the release of data showing that US demand for leasing oil rigs was slowing, suggesting that producers might be preparing to cut output. Meanwhile, ExxonMobil reported a 21% fall in quarterly earnings on lower oil and gas production. On January 30, data showed that more than 90 US oil rigs were idled, the largest number to be wound down in a single day since the mid-1980s. Today’s price rise extended the gains made last week, and boosted oil and gas share prices. Tullow Oil rose almost 7%, while BG Group climbed 5%. Since last summer, the prices of Brent and UK West Texas Intermediate Crude have fallen from above $100 a barrel. Meanwhile, Exxon, the world’s largest publicly traded oil company, saw profit in the fourth quarter fall to $6.57 billion, from $8.35 billion for the same three months the year before. Oil and natural gas production fell 3.8%, Exxon said. Brent crude oil price has fallen below $59 a barrel for the first time since May 2009. After dropping below $60, the Brent price then fell to $58.50 a barrel, before recovering slightly to $58.94. Oil prices have now nearly halved since June as a result of waning demand and increased supplies. The latest fall was triggered by news of a fall in industrial activity in China, the world’s second largest consumer of oil. The price of US crude fell by $1.73 to $54.18 a barrel. At the weekend, the head of OPEC reiterated that the oil cartel would not try to shore up the oil price by reducing production. The comments came a couple of days after the International Energy Agency cut its oil demand forecast for 2015. While lower oil prices could provide a boost to many economies through cheaper fuel, the sharp drop in the cost of crude is affecting many oil producers. On December 16, Russia dramatically increased its interest rate from 10.5% to 17% in an attempt to halt the slide in the country’s currency, the ruble. The ruble has lost 50% against the US dollar this year as falling oil prices and Western sanctions continue to weigh on the country’s economy. However, early signs were that the attempt to defend the currency had failed, with the ruble hitting fresh lows against the dollar. With high levels of output from the US and no sign of a sustained economic recovery in Europe, most experts believe prices will remain low for the foreseeable future. However, the low cost of crude may also make investment in some new wells uneconomical – which means prices could rise in the longer term. Goldman Sachs has estimated that about $930 million of investment in new oil projects could be hit, given the recent plunge in oil prices. Without this investment, new oil output could be cut by about 7.5 million barrels a day by 2025, or about 8% of current demand, the bank estimates. 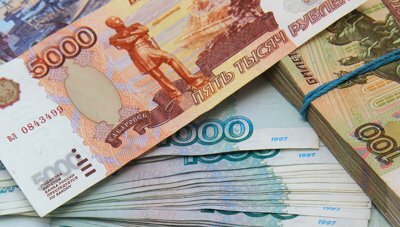 The Russian ruble has fallen to a new low against the US dollar, as falling oil prices and Western sanctions continue to weigh on the country. As of December 15, it takes more than 60 rubles to buy a single dollar. The 60 mark is considered a “psychological barrier” for Russia’s national currency. Since the beginning of 2014, the ruble has lost more than 45% of its value against the dollar. 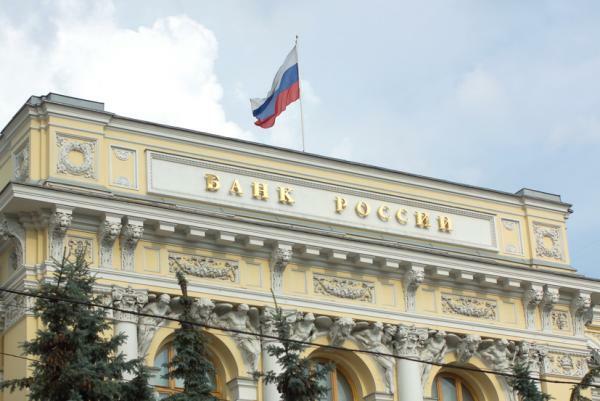 Russia’s central bank has tried unsuccessfully to stabilize the currency, buying roubles in the markets and raising its main lending rate to 10.5%. However, those efforts have been overwhelmed by the fall in the price of crude oil – one of the country’s main exports – and by concerns that international sanctions over Ukraine might be stepped up. Russian authorities appear unable to bring down inflation either – prices are expected to be 10% higher by the end of the year. In November, Russia’s central bank announced it was going ahead with a free float of the ruble by abolishing its unofficial link to the euro and the US dollar. It also announced it was ending automatic interventions to support the currency, instead propping it up only when it was deemed necessary. The bank had previously supported the ruble when the exchange rate against the euro and dollar exceeded certain limits. However, last week, the bank admitted it intervened to support the ruble in foreign currency markets, spending a total of $4.53 billion. The ruble has been heavily affected by the price of oil, which has been in steady decline in recent months. On December 15, Brent crude fell to almost $60 per barrel – a five-year-low – before recovering to just above $61. The dip came after the head of oil cartel OPEC reiterated at the weekend that the group would not reduce production to help shore up oil prices. Russia’s central bank has warned that the country’s gross domestic product could contract by approximately 4.5% next year, if oil remains at $60 a barrel. Oil prices have fallen further after the International Energy Agency (IEA) forecast weaker demand in 2015. The IEA, a consultancy to 29 countries, said supply and demand would take “some time” to respond to sharp falls in oil prices. 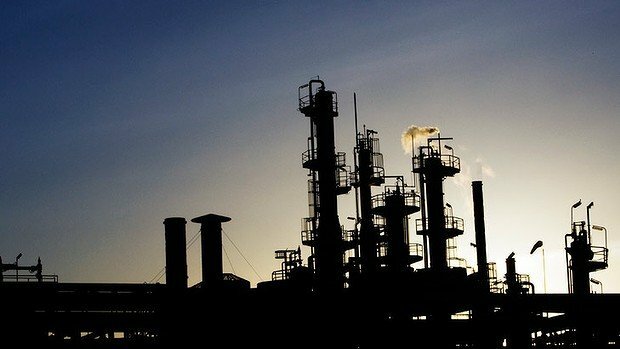 It said it was too early to expect low oil prices to start constricting a US supply boom. On December, Brent crude fell to below $63 a barrel, its lowest price since July 2009. The price of Brent fell to $62.50 a barrel at one point before recovering slightly to $62.67. US crude was trading below $59 a barrel. The IEA cut its forecast for global oil demand growth next year by 230,000 barrels per day to 900,000 barrels per day on the expectation of lower fuel consumption in Russia and other oil-exporting countries. Oil prices have been in steep decline since June due to slow demand growth and a US shale oil boom which has increased supply. Prices “continued to plunge in November and into early December”, the IEA said, adding that, “it may well take some time for supply and demand to respond to the price rout”. The root cause of the fall in prices was “a surge in non‐OPEC supply to its highest growth ever and contraction in demand growth to five‐year lows”. It predicted that non-OPEC supply gains would add to a global glut of oil. The US boom should push non-OPEC production to a record 1.9 million barrels per day this year, IEA said, but this figure should fall to 1.3 million barrels per day in 2015. In Russia, the IEA said lower global oil prices combined with the effect of sanctions and a “collapsing currency” were likely to have an adverse effect on production. Oil prices plunged after the OPEC oil producers’ cartel decided not to cut output at its meeting in Vienna. OPEC’s secretary general Abdallah Salem el-Badri said they would not try to shore up prices by reducing production. “There’s a price decline. That does not mean that we should really rush and do something,” he said. Following the announcement Brent crude fell below $72 a barrel, hitting lows previously seen in August 2010. The 12 OPEC members decided to maintain production at 30 million barrels per day as first agreed in December 2011. “We don’t want to panic. I mean it,” said Abdallah Salem el-Badri. Crude oil prices have fallen 30% since June on sluggish global demand and rising production from the US. The fall in the oil price has been causing concern for several members of the oil cartel, as most require a price above $80 a barrel to balance their government budgets and many need prices to be above $100 a barrel. “Saudi Arabia and the Gulf states can resist for a while,” said Simon Wardell, energy expert at Global Insight. Saudi Arabia is the largest producer within the OPEC oil producing cartel. Analysts suggest the strategy of maintaining output may be aimed at retaining dominance of the market in the face of increasing shale oil production in the US. The shale boom has been one of the drivers behind the decline in the oil price. 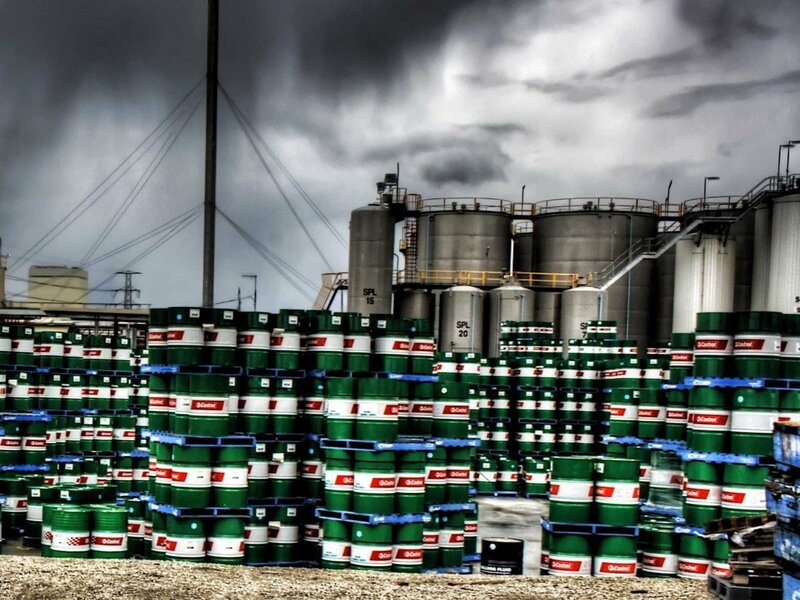 As the oil price dips, shale becomes less economical to produce. If oil prices are allowed to remain low for some time that could cap shale production over the longer term. OPEC accounts for a third of the world’s oil sales. Global oil prices have reached their lowest level in nine months, despite fears that conflicts in Ukraine and Iraq would inflate prices. Brent crude oil has fallen to $103.70 a barrel, its lowest rate since November 2013. In July 2014, oil hit its highest level in nine months, valued at $115.71 per barrel. Violence in Iraq was cited as the reason for the rise. The current dip in price has led to an increase in demand from wealthy states. Iraq has scheduled to export about 2.4 million barrels per day of Basra Light crude in September, up from 2.2 million in the previous month. 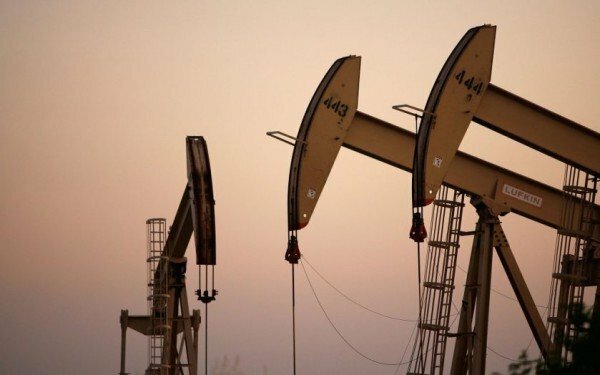 The IEA said that while tensions in Iraq and fighting in Ukraine continued, other oil resources were available, such as those of the US, Libya and Saudi Arabia. It had been thought that sanctions imposed by the US and EU on Russia over its support for Ukrainian rebels might affect oil distribution. Concerns over Iraq have also been mounting. 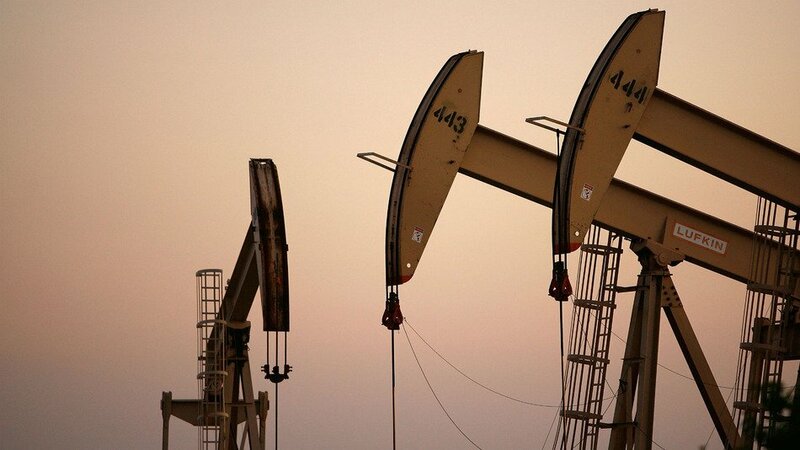 Oil prices are close to a nine-month high due Iraq crisis. Brent crude fell 27 cents to $114.79 a barrel, after reaching $115.71 on Thursday, the highest since September 2013. Oilfields south of Baghdad, which export at least 2.5 million barrels per day of oil, are still unaffected. But the fighting in the north poses a risk to supplies, while foreign oil companies are beginning to pull out staff. Global spare capacity in oil production is at about 2%, he said, meaning that a spike in demand of more than 2% will outstrip production. Islamist-led militants and pro-government forces are engaged in fierce battles for the Baiji oil refinery and Tal Afar airport in northern Iraq. Baiji, Iraq’s biggest refinery, is surrounded by the rebels, who say they have seized most of Tal Afar airport. The fighting comes a day after the US said it would send some 300 military advisers to help the fight against the insurgents. Following Libya’s war and the toppling of Muammar Gaddafi, production recovered, but then eventually petered out, as a weak government and continued skirmishes disrupted production. Oil prices have reached a nine-month high amid concerns that developments in Iraq may affect global supplies. Brent crude futures rose 3% to $113.27 per barrel, while US crude gained more than 2% to $106.71, the highest reading for both since September. Insurgents have taken over two Iraqi cities, prompting the US to say it was considering “all options” to help Iraq. Iraq is the second-largest oil producer in the Organization of the Petroleum Exporting Countries (OPEC) group. The developments have also hurt global stock markets. Shares in the US fell on Thursday and major stock indexes in Asia were also down in early trade on Friday. Sunni Islamist insurgents have taken control of the Iraqi cities of Mosul and Tikrit. Led by the Islamic State in Iraq and the Levant (ISIS), the insurgents are believed to be planning to push further south to the capital, Baghdad, and regions dominated by Iraq’s Shia Muslim majority. Middle East is one of the biggest oil producing areas in the world and there are fears that if this conflict escalates further, it may hurt global oil supplies. On Thursday, President Barack Obama said his government was looking at “all options”, including military action, to help Iraq fight Islamist militants.